Understanding Scleroderma: An Interactive Tool. 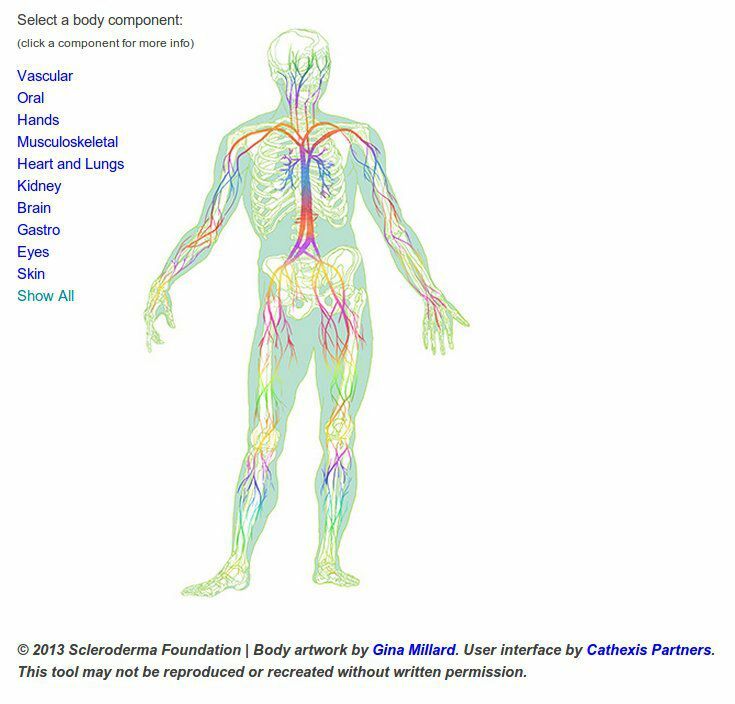 The Scleroderma Foundation has an interactive web page designed to show how scleroderma affects different parts of the human body. After opening the website, roll the mouse cursor over each body component to see how this disease affects it. Scleroderma has th ability to greatly alter muscles, bones, the skin, and organs such as the brain, kidneys, heart and lungs. Check it out, here.